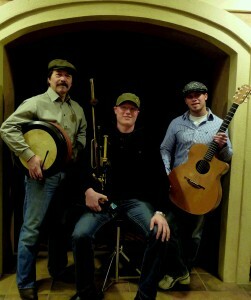 The Magees, the Irish band from has been performing around Wausau and Wisconsin for the last four years. The traditional Irish and Celtic group has built quite a following at the concerts they’ve appeared at over the years. But until now the group, made up of Greg Ormson, Nick Hoen, and John Shea did not have an album of their own. After a series of live recordings in November 2011, The Magees are now releasing their first album. Due to hit the stores on Saturday, December 17th, the CD titled Briu, is filled with eight instrumental and three vocal songs encompassing the traditional Irish and Celtic sounds of Uptempo jigs, reels, hornpipes balanced by lyric tunes and slow string ballads. While our band strives for excellence and professionalism, we also know it’s not about us, it’s about the people at festivals, events, and concerts. Our slogan summarizes this outlook: “Cead Mile Failte; Gaelic for One-hundred thousand welcomes to you. Our mission: to entertain and educate in the traditions of Irish music, dance, and story. The Magees release party will be on Saturday December 17, 2011 at Basil Restaurant in Weston starting at 8:00pm. The group will also perform a special New Year’s Eve concert at Limerick’s Public House in downtown Wausau on Saturday December 31, 2011 from 4:00pm to 7:00pm. The CD, titled Briu, will be available starting the 17th of December at Basil, Iozzo’s Italian Restaurant, Inner Sleeve Records, Limerick’s Irish Pub, and in Boulder Junction at McGann’s Irish Cafe.